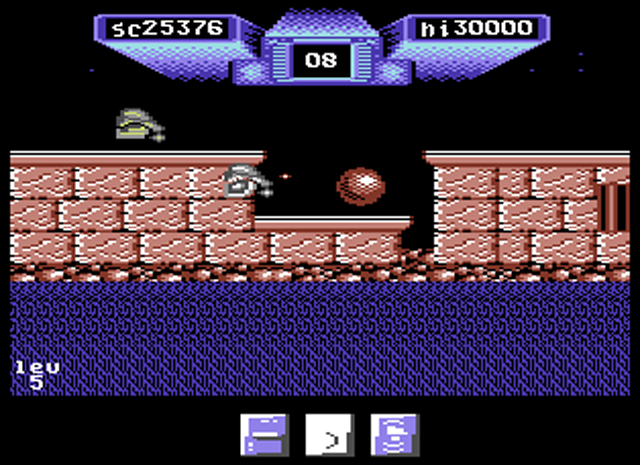 Indie Retro News: Scout +5DGH - Hold onto your woggle, another C64 release from Hokuto Force! 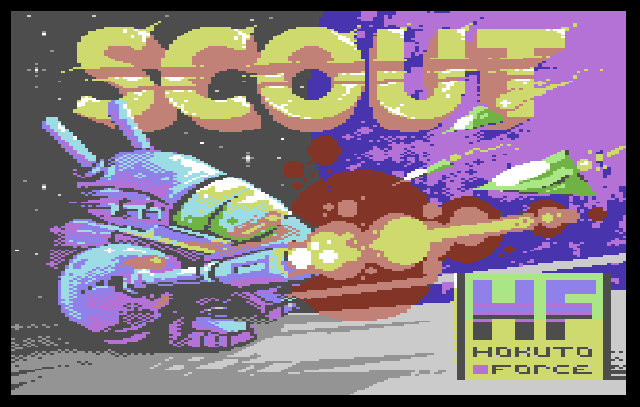 Scout +5DGH - Hold onto your woggle, another C64 release from Hokuto Force! Back in the day, I was in the Scouts, and remember plenty of arguments over the camp fire over whose 8-bit computers were better (C64 Obviously!). This game is nothing to do with those Scouts though, this is a sci fi blaster from 1988, developed by Reptilia Design and published by Mastertronic. Set in a hostile star system, you find yourself in bad shape following a disastrous hyperspace jump which has left you lost and ship wrecked. Your last hope is to salvage what you can from the damaged starship by piloting your scout ship across 8 hostile planets' surfaces to find the missing parts to your ship. Which would be hard enough even without the entire planets' inhabitants deciding to greet you by trying to destroy you. 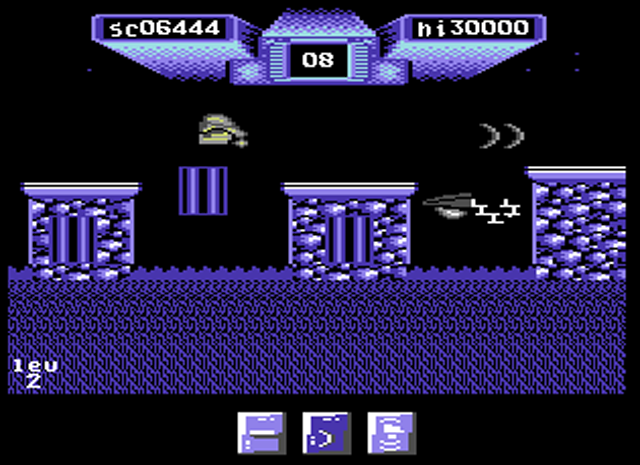 This is a side scrolling shoot-em-up, but instead of flying a spaceship, you begin the game in your scout craft, only capable of short jumps across the terrain and forward firing lazers. Enemies come at you thick and fast, and you'll need a lot of skill, and a fair amount of luck if you're going to recover the first of your lost space ship parts, and fly to the next level. The movement of your ship is similar to controlling the 2nd player's jeep in Silkworm, and if you ever played that, you'll feel at home controlling the scout ship. Unfortunately the game is let down by extremely dodgy collision detection. In particular when trying to land your jumps, where you think you've avoided the deadly acidic ground, but still end up dying. That said, I do like the scout's lazer firing mechanics, which fire satisfyingly fast across the screen. You'll also get more abilities such as weapon ups, and flight, by recovering the missing parts to your ship. You may well have given this a miss back in the day, as it received a measly 48% in Zzap magazine issue 38. I think it's worth at least another 20% as I got rather hooked on it, and I'd have had no hesitation recommending this game to someone back in the day, knowing it would only cost them the price of a double gin and tonic. And as always Hokuto Force have given some much needed love attention to an ugly duckling, and bonuses for this version include into + splash screen pictured below, trainer, and documentation. So, be prepared!